Our Cedar Hill location is at 420 N US Highway 67, Suite 03, Cedar Hill, TX75104. The Cedar Hill center is located in the Cedar Hill Crossing Shopping Center with Kohl’s, close to Home Depot and visible from the main highway which allows great visibility and easy access. The Manager of this location has worked in t he weight loss industry for several years and assures her clients are Slim4Life. The staff provides one on one counseling where the clients not only lose their weight quickly but learn how to maintain their new weight for a lifetime. Their motto is lose today, win tomorrow. Every pound you lose gets you closer to your goal weight. They want their clients to live a long healthy life. If you want to lose weight and live in the Cedar Hill area, give them a call. 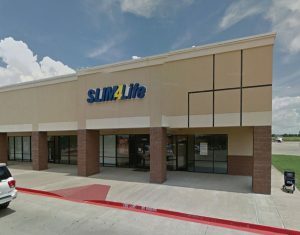 Make an appointment at our Cedar Hill weight loss center today!